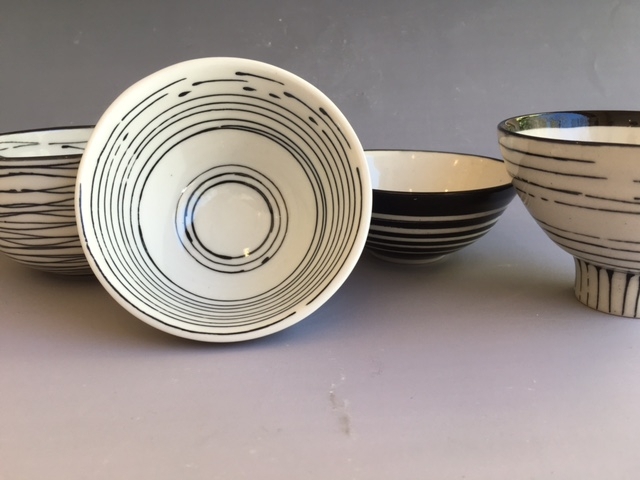 On Sunday, the beginning of every month, the Association of Arts Pretoria, to coincide with the Art Meander, selects an eminent potter to be its “Potter of the Month”. For September, Gina Forssman is its choice. Gina is a seasoned potter who lately, became more and more intrigued by the fragility and translucency that porcelain provides. Her designs are elegantly simple with never ending spiral rings, lines and a few dots. The striking and harmonious lines make her works a delight to the eyes.